What are the Best Remedies for a Toothache? Toothaches are considered one of the most painful physical experiences a human can endure. It seems like toothaches always strike at the most inopportune times, like the middle of the night or other times outside of the dentist’s regular office hours. Determining the best remedy for your toothache will largely depend on the cause of your pain. Toothaches are most frequently caused by dental decay, gum disease, or injury. 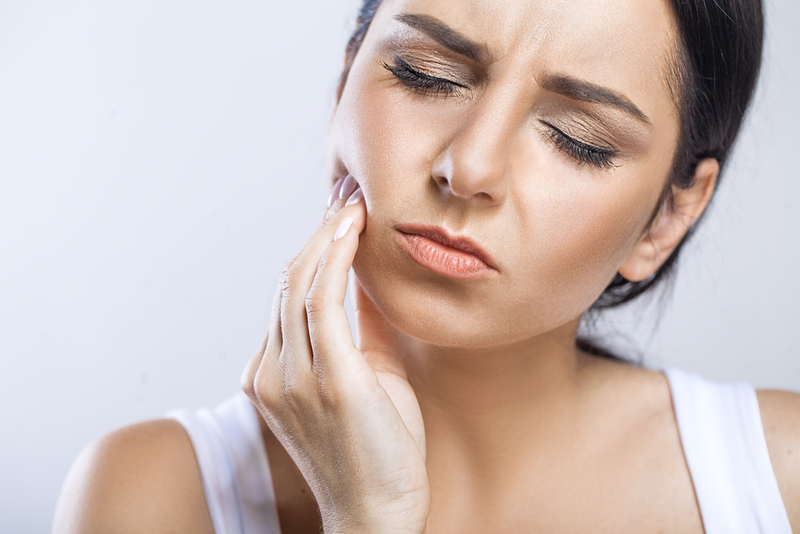 If you’re experiencing a painful toothache, we recommend seeing our dentist as soon as possible. The quicker you see our dentist, the more likely you will be able to preserve the tooth structure, while alleviating your pain as soon as possible. In cases in which you are dealing with unbearable pain but cannot make it to the dentist immediately, there are some home remedies for short-term relief of toothaches. One of the best measures you can take for a toothache is rinsing the area with saltwater. Swishing with warm salt water every couple of hours can help soothe an infection, remove debris, and reduce swelling. To make your saltwater solution, mix about ½ teaspoon of salt per 8 ounces of warm water. Be careful to ensure the solution is a gentle warm temperature, as too hot or too cold of a solution will cause further inflammation. Gently swish the solution in your mouth, before spitting it out. If the area isn’t too sensitive, you can follow this by gently flossing the area to try and remove any food that might be stuck. Ibuprofen, aspirin, aleve, advil, or any acetaminophen pain reliever can help with a toothache. Contrary to popular belief, you should take the pain relieve as you would with any other over-the counter medicine by swallowing it. Putting aspirin or advil directly on the tooth and gums does not help with a toothache, and in fact, it can harm your enamel and gum tissue. If your toothache is accompanied with swelling, you most likely have an abscess. An abscessed tooth is an infection in the root of the tooth, which can cause a great deal of pain to your jaw, teeth, and gums. Oftentimes, abscessed teeth can cause a fever. If your face is swollen, you can help reduce swelling by holding an ice pack or pack of frozen peas over the inflamed area. A cold compress will relieve some of the pain momentarily, until you can fall back asleep, or get to the dentist’s office. You can purchase over-the-counter anesthetics from your local drug store. These often come in the form of a gel or liquid, which can be placed directly on the sore tooth or neighboring gums, using the active ingredient benzocaine. Benzocaine will numb the area for a short time, and it is important to remember that these are only meant for temporary use, and extended use of over-the-counter anesthetics can be dangerous to your health. Clove oil is a natural anesthetic that works by numbing tooth pain. Soak a few drops of clove oil in a cotton ball, then place it on your sore tooth. Clove oil will work in a similar way to benzocaine by numbing the area. Beware that while it is effective, clove oil does not have the most pleasant taste. If your toothache is caused by a cracked tooth or a lost filling, you can relieve sensitivity until you get to the dentist by covering it with a piece of softened chewing gum. Be careful to not use chewing gum with sugar in it or spicy flavors, and avoid chewing on the area until you have the tooth repaired. Create a solution of diluted hydrogen peroxide by mixing 3% hydrogen peroxide with equal parts water. Hydrogen peroxide rinses will relieve pain and gum inflammation, while killing off bacteria and healing bleeding gums. Be careful to not swallow any of the solution, as ingesting hydrogen peroxide can make you sick. In some cases, your toothache might be caused by something other than decay or dental infections. For instance, sinus infections are known to cause dental pain, due to extra pressure on the teeth from the sinus cavity. Usually toothaches caused by sinus infections occur in the upper rear teeth, which are located closer to the sinuses. Typically, a decongestant along with drinking warm fluids will help reduce toothaches caused by sinus infections. Call us today for further advice.